Iran vs. The West: The Battle Heats Up! Just this weekend, Iran announced that it would halt its crude oil exports to France and the U.K. These European countries, along with the U.S. and the rest of the European Union, imposed trade-related sanctions on Iran a few months ago as they disapproved of Iran’s nuclear program. As it turns out, Iran beat them to the punch with their decision to restrict oil supply in the West. You see, Iran is currently the second-largest oil producer in the Organization of Petroleum Exporting Countries (OPEC) and ranks as the fifth-largest black crack exporter in the world. During the first half of 2011, the European Union consumed 18% of Iran’s crude oil exports while France and the U.K. bought roughly 2% and 1% of these shipments respectively. The EU and the U.S. insist that Iran is building nuclear weapons as it refuses to curb uranium enrichment, which could pose dangerous military and civilian consequences. Since Iran has ignored several warnings from the EU and the U.S., these Western superpowers decided to send a clear message to Iran by tightening trade sanctions as well as proposing a new law that would force countries to reduce Iranian oil imports effective by the end of February. On top of that, EU nations have declared that they would be ending their Iranian crude oil imports by July this year, as energy companies in the region gradually started scaling down their black crack purchases from Iran. But wait, there’s more! Thanks to strong urging from European and U.S. officials, Society for Worldwide Interbank Financial Telecommunication (SWIFT), a clearinghouse used by almost every nation in the world, says it’s also ready to discontinue its services to Iranian financial institutions. Talk about bringing in the big guns! Based on Brent crude futures’ price action, it seems that market players aren’t shrugging off the news. Brent crude rose to $118.35 at the release of the report, and is now trading near its 8-month highs at around $121.00. Even the oil-related Loonie isn’t immune to the impact of Iran’s decision. Rising oil prices have been supporting the Canadian dollar throughout the month, but optimism over developments in Greece and Iran’s latest move might have also caused USD/CAD to gap to the downside over the weekend. 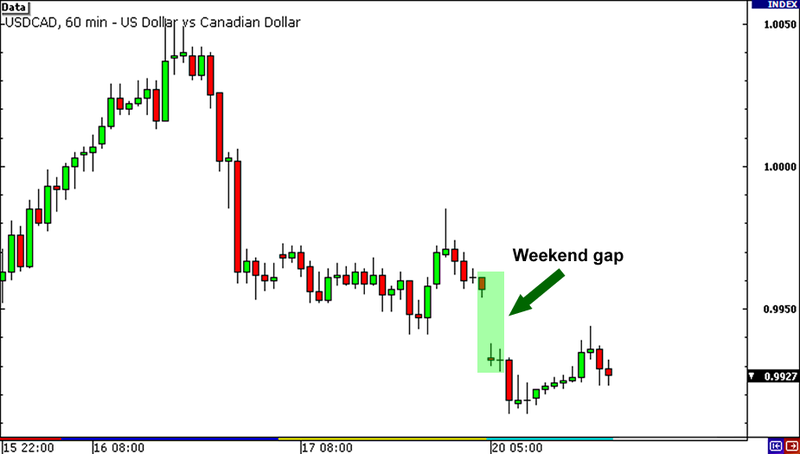 The question is, will oil tensions continue to influence the Loonie and the other comdolls? Right now analysts are saying that Iran’s move might just be symbolic since neither France nor the U.K. particularly depends on Iran oil exports. Besides, Saudi Arabia, the world’s largest oil exporter, has already offered to pick up the slack in oil supply. If tensions escalate though, Iran might end up cutting shipments to Italy, Greece, Spain, and Portugal as it has threatened. On the other side, the U.S. and the European leaders might also extend their sanctions not only to Iranian financial institutions, but also foreign banks that deal with Iran’s oil and tanker companies. Yikes! Still, there’s reason to hope. Last February 14 Iran sent a letter to Europe’s foreign policy head Catherine Ashton, saying that it seeks direct negotiations about its nuclear program at the “earliest possibility.” The U.S. and the EU haven’t publicly accepted Iran’s offer for negotiations just yet, but Ashton says that she’s both “cautious” and “optimistic” about it. Better than nothing, right? Over the next couple of days we’ll probably hear more rhetoric from both Iran and the European and U.S. officials regarding the issue. Best stick around during these times because if tensions continue to escalate, then we might just see USD/CAD make new lows! Do you think Iran will yield to the Western countries’ pressure to stop its uranium-enrichment activities?